Media playback from streaming, on-board SD card, optional USB, mSATA hard drive or mounted storage enables playback of 4K or Ultra HD HEVC, 1080P AVC or 1080i MPEG 2. Container support includes MPEG 2 Transport Stream, ISO 14496 base media file format (BMFF), Matroska, MOV and raw Elementary streams on both the inputs and outputs. Network protocol support includes UDP/RTP, TCP, RTMP, RTSP, HLS and DASH. Zixi feeder and receiver are options for public network applications. The T9261-D supports streaming via Gigabit Ethernet, optional mPCIe WiFi or LTE interfaces. The T9261-D Web UI includes a media analysis tool along with metadata and thumbnail support of streaming and mounted media. Network protocol translation applications are increasingly becoming more common. An example would include connecting to a publicly available live camera via RTSP, decoding for visual confirmation, and turning the signal around via UDP for distribution on a private LAN. 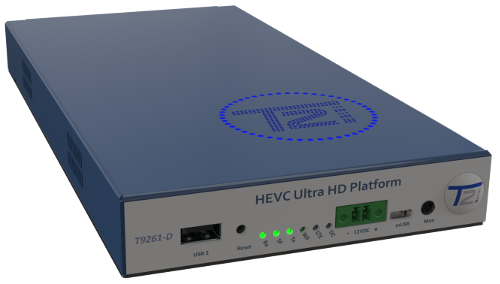 Input 4K or Ultra-HD HEVC, AVC or MPEG 2 and transcode to AVC or MPEG 2. Resolution, bit rate, CODEC and container adaptation are supported. Network protocol support includes UDP/RTP, TCP, RTMP, RTSP, HLS and DASH. Zixi feeder and receiver are options for public network applications. The T9261-D supports streaming via Gigabit Ethernet, optional mPCIe WiFi or LTE interfaces. The T9261-E streams high quality, low bit rate AVC 1080P video and AAC audio. Designed for IP network contribution and streaming media distribution over the internet, the T9261-E is ideal for broadcast news gathering, sports, corporate, medical, house of worship and broadcast distribution applications. Streaming protocols include UDP/RTP, Secure Reliable Transport (SRT), RTMP Client, HLS Server, TCP, Zixi™ Feeder and capture to file. The T9261-E includes two encoding and streaming profiles standard with a software upgrade adding two additional profiles. Each profile delivers a unique streaming protocol, container, Video CODEC, frame size, frame rate and audio configuration. 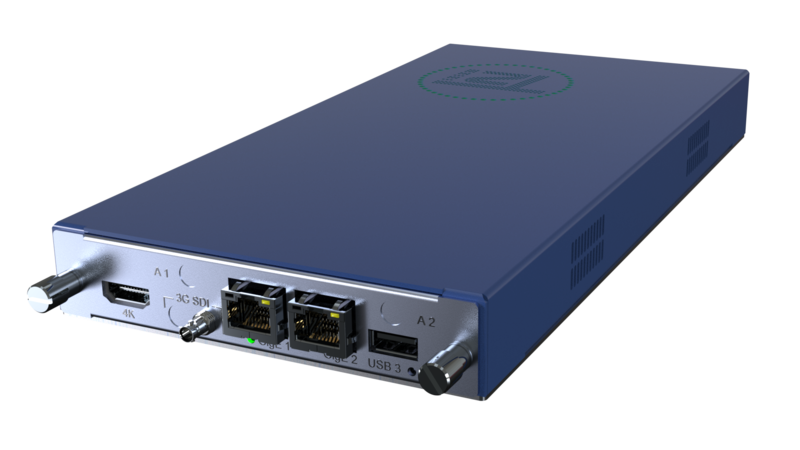 The T9261-E is a robust IT device with two independent Gigabit Ethernet interfaces for streaming media and management. 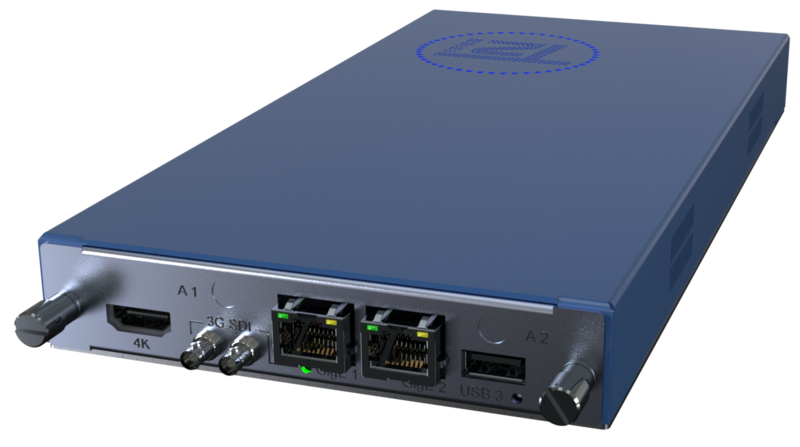 Its broadcast pedigree includes auto sensing 3G-SDI input with ancillary data support for embedded audio, closed captions and KLV data. A looping HDMI output provides monitoring of the 3G-SDI input. The T9261-E supports AAC and MPEG audio encoding with optional Dolby Digital audio encoding. MPEG 2 video encoding is supported for use with legacy ATSC, DVB and other distribution platforms.